This paper focuses on the failure of the soil around a pile, and proposes a simplified analytical method for calculating the uplift capacity of a single pile. In this method, a curved failure mechanism is built by taking into consideration the non-homogeneity of the soil. Then the uplift capacity formula for a single pile is deduced based on a nonlinear failure criterion and limit equilibrium method. Further the proposed method is validated by comparison against the numerical simulation results. The effect of the non-homogeneity of the soil and nonlinear strength coefficients on the uplift capacity of the pile is investigated. Results reveal that the uplift capacity of a single pile increases when the non-homogeneity constant of the soil increases, whereas it decreases when the nonlinear strength coefficient increases; increasing the pile length is, to a certain extent, an effective measure to improve the uplift capacity. These conclusions may serve as good references for the future design of uplift piles. 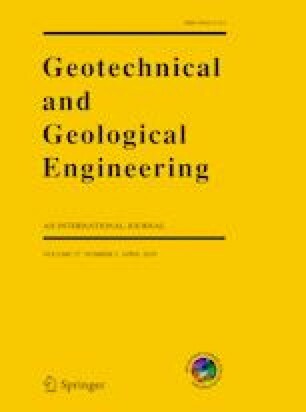 Much of the work presented in this paper was supported by grants from the National Natural Science Foundation of China (51704177, 51708336), a Project of Shandong Province Higher Educational Science and Technology Program (J16LG04), Shandong Co-Innovation Center for Disaster Prevention and Mitigation of Civil Structures (XTP201911), Doctoral Research Fund of Shandong Jianzhu University (XNBS1501), and the Natural Science Foundation of Shandong Province (ZR2016EEB28). The authors would like to express appreciation to the reviewers for their valuable comments and suggestions, which helped to improve the quality of the paper.